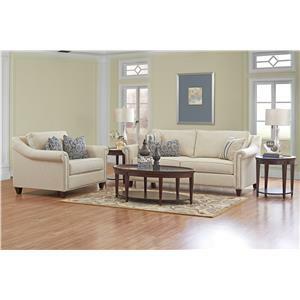 Loose back pillow and an additional throw pillow, this chair doesn't skimp on comfort. 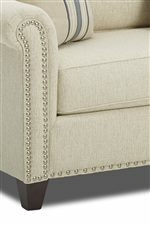 The beautifully designed rolled arms and bottom of the chair are outlined with nailhead trim. 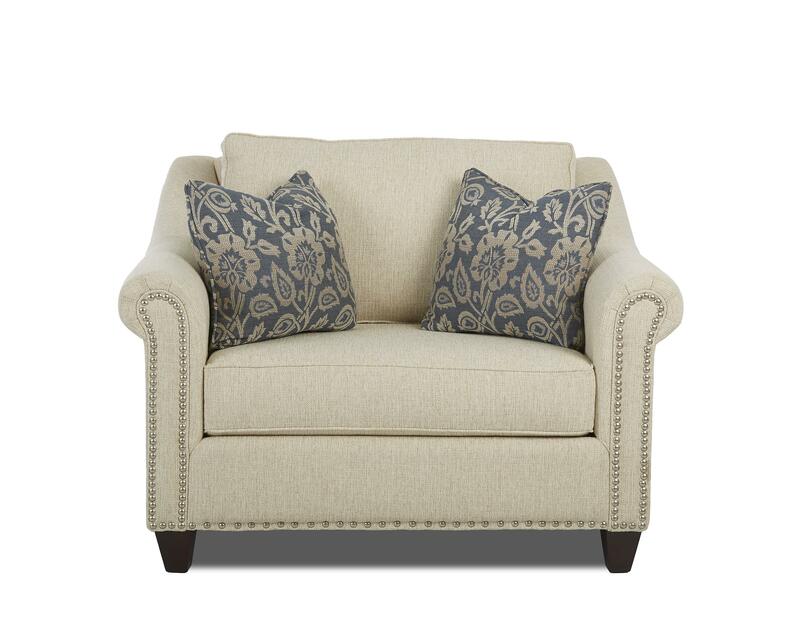 A perfect addition to a living space or den this chair is sure to provide cozy seating. 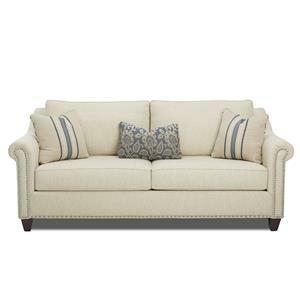 The Langley Big Chair with Nailhead Trim by Klaussner at Value City Furniture in the New Jersey, NJ, Staten Island, Hoboken area. Product availability may vary. Contact us for the most current availability on this product. 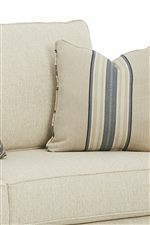 Seat Back Back Cushion is Decorated with Matching Welt Cord Trim. Seat Seat Cushion is Decorated with Matching Welt Cord Trim.